Theodor Herzl’s influence looms large in the history of modern Zionism. Few Jews have not been affected by it, whether they are aware of it or not. In my life, besides this influence, which I am writing about now, there is also the fact that my first and last schools were Herzlia Junior School (while at the Cape Jewish Orphanage) and Herzlia High School, which I wrote about here. There is a very strong connection between Herzl’s cultural and political backgound, France and the Enlightenment. All of these played a significant role in my intellectual and spiritual development. In 1860, Abraham Lincoln was elected President of the United States. On May 2 of that year, Theodor was born in Budapest, a major city and also the geographical center of the Austro-Hungarian Empire under the Hapsburgs. His family had assimilated into the German and Christian culture of the Empire. The Herzls celebrated Christmas like many other good assimilated Jews. The Danube divides Budapest into two parts, the undulating Buda and the flatter prosaic Pest. Theodor was born in Pest, in a building next to a synagogue. In that same year, the first international Jewish organization “Alliance Israelite Universelle” met in Paris. The “Alliance” was founded to protect the rights of world Jewry. Why was the first international congress of world Jewry held in France? After the French Revolution (1789 – 1799), and the slicing off of heads, France became much more liberal towards the Jews. Those grateful to keep their heads were now, in theory, equal, brothers and free – Liberté, égalité, fraternité. In 1791, the Jews were granted full civil rights and were soon integrated into French society. Of course, the society was not high society owing to the brute fact that high society had already been radically cut down to democratic size. It was the era of the European “Enlightenment”, which was spearheaded by France. The French Enlightenment was embodied in Jean Jacques Rousseau (1712 – 1778) and Voltaire (1694 – 1778). As in many human endeavours, what often begins with a hand holding a spear aloft ends with a head in a bucket; the head of the man with the spear; Robespierre. This is especially true when the clarion call is for human freedom and human reason. The Enlightenment had already been kindled in Germany by Emmanuel Kant. In his “What is Enlightenment?”, Kant describes the Enlightenment as “man’s release from his self-incurred tutelage”, where “tutelage” is (Kant continues) “man’s inability to make use of his understanding without direction from another”. The “Enlightenment” has profound relevance not only for understanding modern man and the modern Jew; not only for understanding Theodor Herzl and the non-religious inspiration of the Zionist movement, but also for shedding light on much of modern Judaism and modern Christianity, where the focal point is man’s happiness, not God’s glory. God saw that the light was good, but man saw that enlightenment was better – much better. At the age of sixteen, Theodor attended the Protestant High School “Evangelische Gymnasium.” Why was he studying at a Christian school? In my case, most Jews of my generation would not have raised an eyebrow at me attending a Christian school in Wellington (South Africa). What about the Jews of the 19th century like Theodor? In the 19th century, Jews were permitted to attend Jewish primary schools. Subsequent education, however, had to be completed at state schools. For example, Theodor’s first school was the “Pester Israelitische Normalhauptschule”, which was one of the primary schools run by the Jewish community of Pest. All institutions – government, courts, and education – except for a few primary schools – were German. It was only natural for the Hapsburg Empire to pursue a policy of Germanisation. Even family names had to be German. Herz in German – as well as Yiddish – means “heart”. The German herz and Theodor’s family name Herzl is similar in spelling and pronunciation; Herzl has two possible meanings: 1. the Germanised name for the Yiddish Herschel (“deer” – Yiddish “hirsh”; the Old English word “hart” as in the King James Version of Psalm 42:1 “As the hart panteth for the water brooks…”) and 2. the diminutive of herz (heart) in Austrian German. Here is another example of a Germanised Jewish name: Mord(e)chai becomes Marcus. Karl Marx is an interesting example. How did he get his very German name? His rabbi grandfather, Marc Levy , dropped the Levy, and exchanged Marc for the Germanic name, Marx. Karl’s father’s first name was Heshel, which is a variation of Herschel. 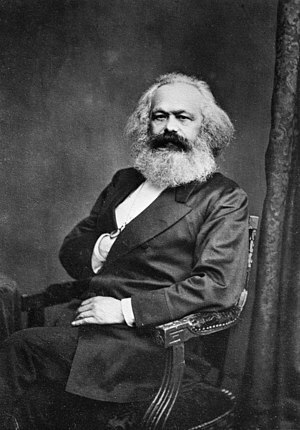 Heshel Marx changed his name to Heinrich Marx, which is not a good name for a Jew but a very good name for a Lutheran, whose religion Heinrich Marx adopted and into which his son Karl was baptized. Heinrich became a Lutheran because it opened the higher echelons of the legal profession to him, which were closed to Jews. Heinrich saw the light. Enlightened Germans (who thought they knew what light was) began chipping away at the Scriptures: the enlightened German Jews at the Tanakh, the enlightened German Christians at the “Bible”, and processed it into mangle of academic incoherence. They became lost not for words, but in words: “The unfolding of your words gives light; it imparts understanding to the simple” (Psalm 119:130). When Herzl was 17 years old, the Empire was divided into the German speaking Greater Austria (the red section in the map) and the Hungarian speaking Greater Hungary (the green section of the map). Budapest is at its geographical center. In Moral Dust appears a photo of pre-WWII rabbis; most, if not all, were killed in the holocaust. All of them were against the Zionist ideal of a Jewish state. They believed that the scriptures had clearly forbidden the Jews to attempt to establish a political state. This was not only the belief of the rabbis but of most Jews. There were, however, some rabbis who believed otherwise. Herzl’s grandfather, Simon Loeb Herzl, was one of these. Simon Loeb Herzl was a disciple of Rabbi Judah Alkalai of Semlin, near Belgrade. Rabbi Alkalai published a book in which he stated that the redemption of the Jewish people could only occur if there were a Jewish state in the Holy Land. He expected wealthy Western Jews to play a key role in the establishment of the Jewish state. Theodor’s grandfather, who seemed to have had a large influence on Theodor, shared this view. This is a follow-on from two earlier pieces on Hans Herzl – Hans (1) and Hans (2). I discuss Hans’ involvement with Christianity and liberal Judaism, his death and final burial on Mt Herzl. Matt at the Roshpinaproject (RPP – a Messianic Jewish site) expressed a common Jewish view of Jews who convert to Christianity: “Most Jewish converts to Christianity who claim any orthodox background are very fishy (they claim they grew up “conservadox”, or that their parents were orthodox).” And Bubby also at the Roshpinaproject, who told me – a convert to Christianity – that she suspected that “you never had the opportunity to find out the truth about Judaism and Torah so you feel like an outcast and you are angry and hostile.” I was a bit hostile in some of my comments on RPP but not because I felt a Jewish outcast. The reason for my hostility was that Bubby and other Jewish comments at the Roshpinaproject stressed that it was tragic that a Jew would give up his Jewish soul (neshamos) for the worship of the “man” Jesus. I kept on and on stressing – and stressing out; yes, that’s what it was, and not hostility – that what ultimately matters to me was Christ in me. Contrary to Hans, I had a thorough Jewish upbringing in my early childhood – from the age of 3-4 to 9, which was spent in a Jewish orphanage. (I wrote about the Orphanage years here). Earlier, I examined the life of Theodor Herzl for whom Zionism was purely a political movement. Whereas Theodor Herzl’s struggle, was political, his son’s struggle was social and ethical Contrary to the brilliant atheistic minds of modern times, Hans believed that ethics proved God. His interest transcended Zionism and Judaism. If God was universal, he reasoned, then He must be God for all mankind, a universal God. For this reason, Hans did not believe in a historical Messiah. What was important was not the historical but the ethical. The ethical teachings of Christ could, then become, Hans said, the basis for the creation of a World-Church, which would subsume Christianity and Judaism. For Hans, the ethical teachings of Jesus were in complete harmony with Judaism. “Of course, Hans said, there is a precondition: by giving up the outdated dogma of the historical Messiah, the Synagogue would become a constituent member of the World-Church, and the unification of the human family would be completed by the inclusion of the Jews. Then the ethical content of Judaism could attain its fullest development, and renew national “Christianity” from within. This is how I see the Jewish mission, and Jewish nationalism: a Christian Theocracy of Jewish faith… I am a Christian – but in the spirit of the apostle Paul, in whom Judaism and Christianity were united in the worship of One God… Don’t you see that the New Testament is only a continuation of the Old, just as the teachings of Jesus are but a continuation of the Ten Commandments?” (Hans to Marcel Sternberger). Between the ages of 26 (1917) and his suicide aged 39 (1930), Hans searched for an answer to the Jewish ethical and political problems. He studied Zionism but found it inadequate. He believed that the Jewish question would never be solved unless the Jews united with Christians in seeking a universal solution for humanity. If Judaism and Christianity were united in the worship of the One God, as Hans claimed, where would one look for an institution that embodied universal brotherhood (see Hans Herzl (1): The World-Church and Unification of the Human family). In the Roman Catholic Church, perhaps. But before, Hans flirted with the Roman Catholic Church, he became a Baptist for a while. After he left the Roman Catholic Church he tried various other denominations. I focus on Hans’ sojourn in the Roman Catholic Church not only because I belonged to that church for more than two decades but also because it is the church that is the most universal (“catholic”) of all the other Christian denominations – and that was what Hans was looking for: a “universal” movement. “The (Roman Catholic) Church’s main tenet, writes Abraham Coralnik, is a spiritual authority that unites peoples and nations into a universal unity, with one sole center – Rome. This is Catholicism’s eternal dream. This is what has strongly attracted romantics and people with imagination, from Dante to Cardinal Newman…One can well imagine how a man like Hans Herzl came to embrace Catholicism. Just because he was a Herzl, just because he was an “orphan of Zionism,” as it were, an orphan of the Jewish people, he felt perhaps more sharply than the rest of us, the chasm that lies between Judaism as a religion and Judaism as a political, national institution. What meaning did Judaism have for him? What did he know about it? In his father’s house, he heard talk of a Juden Staat, a state to be build with old crumbling material” (Reflections on Jewish Civiliation (Across the Great Divide Series: The Selected Essays of Abraham Coralnik, Vol I, p. 130). Coralnik’s “old crumbling material” refers to Herzl’s political foundations contrasted with the solid foundations of Judaism. Coralnik’s “orphan of Zionism” seems to allude to the fact that Hans and his sisters were left orphans after the death of their parents: “…the founder of Zionism spent his life fighting for a home for his people. His orphaned children spent their lives searching for a home of their own” (David Zax; see “The fall and the fall of the Herzl Dynasty (1): The clouds open.” If Coralnik means by “orphan” the fact that Hans lost his parents at a young age, I don’t see how that relates to Coralnik’s description that “he (Hans) felt perhaps (italics added) more sharply than the rest of us, the chasm that lies between Judaism as a religion and Judaism as a political, national institution.” Coralnik’s “perhaps” indicates that he is only surmising that Hans’ orphan status had any direct bearing on Hans’ – very real – conflict between religious and political Judaism. But even such a suggestion is not warranted because a (Jewish) orphan may choose to become an orthodox Jew or an assimilated Jew, without the conflicts that did actually occur in his life influencing such a decision. “The Church therefore has this exhortation for her sons: prudently and lovingly, through dialogue and collaboration with the followers of other religions, and in witness of Christian faith and life, acknowledge, preserve, and promote the spiritual and moral goods found among these men, as well as the values in their society and culture” (Nostra Aetate 2). (See Buddhism, Judaism and Catholic Nostra Aetate and Universalism and the Mystical Desertion of the Gospel. “Isaiah 53 contains a deeply moving narrative which world leaders will cry aloud in the messianic age. The humbled kings of nations (52:15) will confess that Jewish suffering occurred as a direct result of “our own iniquity,” (53:5) i.e., depraved Jew-hatred, rather than, as they previously thought, the stubborn blindness of the Jews.” (See Isaiah 53: The grammar of modern rabbinical interpretation). After a brief sojourn, Hans left the Roman Catholic Church,which merited him instant excommunication. But then, all that “excommunication” meant to Hans, and to many others who leave the Roman Catholic Church, is that they no longer have any communion with that church. Hans tried various other Christian denominations and dropped those too. Protestant denominations don’t excommunicate you from the church for leaving, because they have a different definition of “church,” (to the definition of the Roman Catholic Church), which refers to “children of God,” that is, sinners who have been born again. I don’t know whether Hans was familiar with these distinctions or took any interest in them. His next “religious” move was to a liberal synagogue in London, which suggests that he was not searching for God – God as Creator of the universe, who is also personal – because liberal Judaism, of all the different kinds of Judaism, is the furthest removed from traditional Judaism (of whom Moses Maimonides is a prime example). In Judaism (and other religions), one of the main issues is the degree of importance of the Law. For ultra-Orthodox Jews, all 613 laws (mitzvot) are essential. In contrast, Conservative and Reform Jews are selective. Then there is a vast swathe of Jews who don’t believe in the Torah at all or in the God of the Torah. These are the Reconstructionist Jews and to the right of them (believing less) are the liberal Jews. (See The Torah: shared myths and other stories in Reconstructionist Judaism and The Eternal, History and Reform Judaism. I don’t see any significant difference between “Reconstructionist Judaism” and the above description of “Liberal Judaism.” There is hardly anything in these two modern products of the Enlightenment that represents the Judaism that has existed for more than 3000 years, and continues to exist among those who have been set apart (for God) from the myriads of Jews that make up the bulk of everyday Jews. The Torah is set apart from the world; it is in the world, but not of the world. The irony is that modern Conservative and Reform Jews, and Jews who don’t believe in the God of Israel at all, are Zionists, whereas Ultra-Orthodox Jews are anti-Zionists. Ultra-Orthodox Jews reject “Zionism” because it is a human, not a divine, creation; it gainsays the Torah. Ultra-Orthodox Jews believe with Rambam that every word of the Tanakh is breathed out by God. (Charles Baudelaire, “Les Correspondences,” my translation). “… much of the religion which is abroad in the world is a vain thing. The religion of ceremonies is vain. If a man shall trust in the gorgeous pomp of uncommanded mysteries, if he shall consider that there resides some mystic efficacy in a priest, and that by uttering certain words a blessing is infallibly received, we tell him that his religion is a vain thing. You might as well go to the Witch of Endor for grace as to a priest; and if you rely upon words, the “Abracadabra” of a magician will as certainly raise you to heaven, or rather sink you to hell, as the performances of the best ordained minister under heaven. Ceremonies in themselves are vain, futile, empty. There are but two of God’s ordaining, they are most simple, and neither of them pretend to have any efficacy in themselves. They only set forth an inward and spiritual grace, not necessarily tied to them, but only given to those who by faith perceive their teachings. All ceremonial religion, no matter how sincere, if it consist in relying upon forms and observances, is a vain thing. So with creed-religion—by which I mean not to speak against creeds, for I love “the form of sound words,” but that religion which lies in believing with the intellect a set of dogmas, without partaking of the life of God; all this is a vain thing (Charles Spurgeon’s “Religion – A Reality“). (See My conversion to Roman Catholicism and why I left). “So I turned to consider wisdom and madness and folly. For what can the man do who comes after the king? Only what has already been done. Then I saw that there is more gain in wisdom than in folly, as there is more gain in light than in darkness. The wise person has his eyes in his head, but the fool walks in darkness. And yet I perceived that the same event happens to all of them. Then I said in my heart, “What happens to the fool will happen to me also. Why then have I been so very wise?” And I said in my heart that this also is vanity. For of the wise as of the fool there is no enduring remembrance, seeing that in the days to come all will have been long forgotten. How the wise dies just like the fool! So I hated life, because what is done under the sun was grievous to me, for all is vanity and a striving after wind (Ecclesiastes 2:12-17). “Can you bring six million Jews to Palestine?” I replied, “No.” … From the depths of the tragedy I want to save … young people [for Palestine] “The old ones will pass. They will bear their fate or they will not. They are dust, economic and moral dust in a cruel world … Only the branch of the young shall survive. They have to accept it.” (Chaim Weizmann reporting to the Zionist Congress in 1937 on his testimony before the Peel Commission in London). (See Moral Dust). His wished to be buried with his sister Pauline, but the Jewish Orthodox community refused. They reluctantly agreed after pressure from the caretakers of Herzl legacy, and Hans was buried – secretly – next to his sister in the Jewish cemetery of Bordeaux. If only I knew in 1962 what I know and interests me greatly now, for I visited Bordeaux on several occasions. It took many more years for Israel to agree to having Hans remains buried in Israel. In 2006 the remains of the once future King of Israel and Pauline were removed to Israel, where they were buried on Mount Herzl next to their father. “The procession which starts at the doge’s palace will be opened by Herzl-Cuirassiers. Then come the artillery and infantry… while all are marching in gold-studded gala uniforms, the high priests under canopies, the doge himself will wear the garb of shame of a medieval ghetto Jew: the pointed hat, the yellow badge… When I thought that someday I might crown Hans as doge… I had tears in my eyes” (Herzl’s diary, 1895, when Hans was four years old). “… much of the religion which is abroad in the world is a vain thing. The religion of ceremonies is vain. If a man shall trust in the gorgeous pomp of uncommanded mysteries, if he shall consider that there resides some mystic efficacy in a priest, and that by uttering certain words a blessing is infallibly received, we tell him that his religion is a vain thing. You might as well go to the Witch of Endor for grace as to a priest; and if you rely upon words, the “Abracadabra” of a magician will as certainly raise you to heaven, or rather sink you to hell, as the performances of the best ordained minister under heaven. Ceremonies in themselves are vain, futile, empty. There are but two of God’s ordaining, they are most simple, and neither of them pretend to have any efficacy in themselves. They only set forth an inward and spiritual grace, not necessarily tied to them, but only given to those who by faith perceive their teachings. All ceremonial religion, no matter how sincere, if it consist in relying upon forms and observances, is a vain thing. So with creed-religion—by which I mean not to speak against creeds, for I love “the form of sound words,” but that religion which lies in believing with the intellect a set of dogmas, without partaking of the life of God; all this is a vain thing (Charles Spurgeon’s “Religion – A Reality“). Hans Herzl (2): He was always a Jew? “The procession which starts at the doge’s palace will be opened by Herzl-Cuirassiers. Then come the artillery and infantry… while all are marching in gold-studded gala uniforms, the high priests under canopies, the doge himself will wear the garb of shame of a medieval ghetto Jew: the pointed hat, the yellow badge… When I thought that someday I might crown Hans as doge… I had tears in my eyes” (Herzl’s diary, 1895). Firstly, it’s the contradiction between his utterly wretched family life and death (and indeed his father’s wretched family life as well), on the one hand, and the “Messianic” hopes his father, Theodor, had dreamed up for him. And secondly, it’s the mystery of salvation itself, of Christian salvation, which Hans obviously didn’t understand, because he wasn’t – it seems – looking for it. I only touch on this second issue here, which I will deal with in greater detail in the last part of my thoughts on Hans Herzl. Hans’ parents, Theodor and Julie, were products of the “Enlightenment.” The “Enlightenment” has profound relevance not only for understanding modern man and the modern Jew; not only for understanding Theodor Herzl and the non-religious inspiration of the Zionist movement, but also for shedding light on much of modern Judaism and modern Christianity, where the focal point is man’s happiness, not God’s glory. God saw that the light was good, but man saw that enlightenment was better – much better. In the Herzl family, there was nothing Judaic. Hans was not even circumcised. Theodor Herzl, like most of the older Zionists, like Chaim Weizmann (see his autobiography “Trial and error”, 1949) and Nordau and Jabotinsky were not interested in their Judaic heritage. As Achad Ha’am remarked, Herzl knew much about the Newland but nothing about the Oldland, nothing about the “ancient paths” (Jeremiah 6:16). “My father was a great man, whom I loved… But I’ve come to see that he made a great historical error in his attempt to rebuild the Jewish State…. My father did not realize the true mission of the Jewish people, which has proven that the living and fertilizing spirit does not need territorial boundaries, and that a people can live and exist even when fortifications and borders have disappeared. I would ask them not to attempt to add to the decadent civilizations but to remember their true identity and work for the cultural reconstruction of their homeland – and this homeland is the entire world.” (Hans Herzl to Marcel Steinberger in “Princes Without a Home, Modern Zionism and the Strange Fate of Theodor Herzl’s Children 1900-1945.” Ilse Steinberger, International Scholars Publications, San Francisco 1994). Hans’ spiritual struggle was unrelated to psychology, politics and religion. Hans reasoned that if God was universal, it would follow that He must be God for all mankind, a universal God. For this reason, Hans did not believe in a historical Messiah. What was important was not the historical but the ethical. This view is prominent in much liberal Christian theology such as Karl Barth: to put it perhaps crudely, what is important to many modern Christians – and Jews (see here, here, and here) – is not the historicity of the Bible but its positive impact on universal brotherhood. I would add that anyone who makes a significant contribution to this ideal, will most certainly be up for the Nobel Peace prize. For Hans, the problem, in the earlier period of his spiritual search, lay in the ethical realm of good and evil. Hans believed that ethics proved the existence of a moral law giver. Indeed, the Bible is shot through with the struggle between good and evil; so much so that it is easy to fall into the error of thinking that the main focus of the Bible is about man’s (in)humanity to man. The main focus of the Bible is the revelation of those facets of God’s character and his purposes that he desires to reveal to us. One thing the Bible makes clear: God’s purposes are not man’s purposes. Hans was at his sister Pauline’s bedside in Bordeaux when she died. On September 15, 1930, a day after Pauline’s death, Hans shot himself in the head. He wanted to be buried with his sister. The orthodox Jewish community of Bordeaux, however, were very much against the idea that an apostate should be given a Jewish funeral. After much pressure, and the realisation that he, like the rest of his family, suffered from mental illness, they relented and buried Hans – hush hush, – in the same Jewish cemetery as his sister. Hans ended up a Jew. Once a Jew always a Jew? The Jew says yes. Once a Catholic always a Catholic? The Catholic says yes. If both the Jew and the Catholic are right, doesn’t it follow that once a Jewish Catholic always a Jewish Catholic. But more seriously, there are Jews who believe that the soul God puts into Jews is far superior – indeed of a different genus – to the Gentile soul. This superiority, they nobly argue, exists to serve inferior souls and bring them to God and show them how to obey his commands (mitzvot). (See “The book of Jewish belief” by Louis Jacobs, p. 40). Bubby had once become involved in Messianic Judaism. She was one of those who woke up but instead of “flying off the windowsill” managed to jump back inside safely into the arms of “the truth [that] every Jew has a Jewish soul” (Bubby). The Rambam’s view (Moses Maimonides) is that the difference between a Jewish and a Gentile soul is purely theological. This seems to be the majority Jewish view. If Maimonides is right, then the only kind of apostasy is theological. Now, as Hans Herzl had no Judaic believe to apostatize from, he can’t be regarded as a Jewish apostate, but rather as a Catholic apostate. In my third and last part on Hans, I discuss the religious implications of his life and relate them to my religious journey. 1I include here part of Hans’ letter in the original German, which – for me – is much more poignant. If you know Yiddish (my parents spoke Yiddish), the German will not be much of a problem. There are many German words that are similar to “Afrikaans,” which I can speak, being a South African. “Ich bin eine einsame, verzweifelte, traurige und bittere Gestalt”, schrieb Hans Herzl ein Jahr vor seinem Selbstmord an seinen Freund Marcel Sternberger. “Niemand hört auf einen Konvertiten. Ich habe alle meine Brücken verbrannt. Mein Leben ist ruiniert. Niemand würde es bedauern, wenn ich eine Kugel durch meinen Kopf jagte. Ich kann so nicht weiterleben.” German – einsame; Afrikaans eensaam; German – traurige; Afrikaans – treurig, and many more. Freud, Bismarck,Theodor Herzl – and who knows how many others? – looked in the mirror and saw Moses. 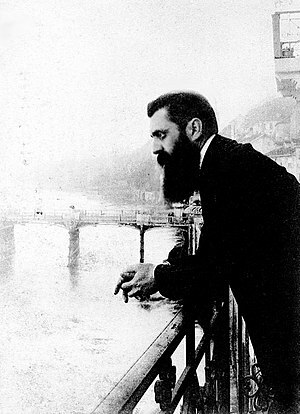 Shortly before Herzl died, he told a friend a dream he had at the age of twelve. The King-Messiah appeared to him and carried him off on the wings of heaven. “On one of the iridescent clouds we met…Moses…The Messiah called out to Moses. ‘For this child I have prayed!’ To me said, ‘Go and announce to the Jews that I shall soon come and perform great and wondrous deeds for my people and for all of man kind’” (Amos Elon, Herzl. New York. Holt Rinehart and Winston, 1975, p.16. Quoted in William J. McGrath, Freud’s Discovery of Psychoanalysis. Cornell University Press, 1986, p. 313). When Freud was in his eighties and a Moses look-a-like, he wrote his last book, “Moses and Monotheism” (1939). Freud maintained that Moses was an Egyptian. Freud got the Egyptian name right, Moses, but much else in the book he plucked from the reeds of his mind, as in so many novels on the theme of Moses. For Freud, the original biblical story was dressed up in myth, and his job, as a psychoanalyst, was to peel away the myth to uncover the prosaic reality, for it is the wont of man – Freud would agree – to spike his trauma with the prozac of make-believe. (See Mark Edmundson’s article “Defender of the faith?”). “Herzl appeared to me, a majestic figure with a pale, darkly toned face adorned by a raven-black beard and with infinitely sad eyes. This apparition forced me to do something at once to clarify to myself what I must do should the Jewish people be saved. These words surprised me by their fierce logic and intense accompanying feeling” (William J. McGrath, Freud’s Discovery of Psychoanalysis. Cornell University Press, 1986, p. 314). Where can the Jew find salvation; in Zionism or assimilation? Which was myth and which reality? Earlier, I described Herzl’s dream in which the King-Messiah appeared to him and carried him off on the wings of heaven. Herzl’s “heaven” is the Jewish State, which, his son, Hans, in contrast to his father, belived must sooner or later come crashing to the ground. “I’ve been brought down to earth with a duty to search, and to grapple with rough rugged reality (“Je suis rendu au sol, avec un devoir à chercher, et la réalité rugueuse à étreindre !” Arthur Rimbaud’s poem Adieu). Hans was only interested in the ethical implications and not theological doctrines such as the resurrection from the dead and the coming of the Messiah. The ethical teachings of Christ could, then become, Hans said, the basis for the creation of a World-Church, which would subsume Christianity and Judaism. For Hans, the ethical teachings of Jesus were in complete harmony with Judaism, both of which could be summed up in the Sermon on the Mount (Matthew 5-7). [5:1] Seeing the crowds, he went up on the mountain, and when he sat down, his disciples came to him. The next two verses, at one time, would have meant nothing to Hans because it is about, as Hans said, “the outdated dogma of the historical Messiah” (See full quote below). But later, he seems to change his mind, because he ostensibly converted to (different forms of) Christianity. “Of course there is a precondition: by giving up the outdated dogma of the historical Messiah, the Synagogue would become a constituent member of the World-Church, and the unification of the human family would be completed by the inclusion of the Jews. Then the ethical content of Judaism could attain its fullest development, and renew national “Christianity” from within. This is how I see the Jewish mission, and Jewish nationalism: a Christian Theocracy of Jewish faith… I am a Christian – but in the spirit of the apostle Paul, in whom Judaism and Christianity were united in the worship of One God… Don’t you see that the New Testament is only a continuation of the Old, just as the teachings of Jesus are but a continuation of the Ten Commandments?” (Hans to Marcel Sternberger). For Hans, as for most Jews, the heart of religion is ethics, which Rabbi Hillel, an elder contemporary of Jesus described as, “That which is hateful to you, do not do to your fellow. That is the whole Torah; the rest is the explanation; go and learn” (Talmud, Shabbat 31a). This is called the “negative golden rule,” which exists across all religions and philosophies. Jesus expressed the “positive golden rule,” namely, “… as ye would that men should do to you, do you also to them likewise (Luke 6:31). Hans (in the quote above) mentioned that in the apostle Paul, Judaism and Christianity were united in the worship of the One God. A Jew would say: “Stop right there! Hans Herzl either knows very little Jewish and Christian theology or theology is of no interest to him.” Anyone familiar with the basics of Judaism and Christianity would know that in Judaism, God cannot be(come) a man, nor can God be a trinity of persons. Paul, the Jew converted to Christ, was not only and not mainly concerned about ethical behaviour, because for Paul, and Jesus, the heart of the Gospel is about faith, not ethics/morals. The precedence of faith over works doesn’t mean that if you have faith you can be immoral, which is the accusation of many Catholics and Jews against Christian Reform theology. For many Jews and Catholics, and, for that matter, most of mankind, if one had to choose between creed and deed, the deed wins hands down. For the Jew, the duty of lending a hand to your fellow man far outweighs the desire to rest in the arms of God. After all, the reasoning goes, didn’t God work (six times longer) than He rested (on the seventh day)? That’s how man thinks. Not all Jews, though, think that the main duty of man is supplying his another’s needs. For Rabbi Tuvia Bolton (in a comment to me), “the Chassidic Jew is mainly interested in supplying G-d’s needs (Nachat Ruach l’mala).” Nachat Ruach l’mala can be roughly translated as “resting in the Almighty.” God’s great desire is that we rest in Him. Now, if someone counters that God’s greatest need is to supply man’s needs, I would reply that this is not what the Tenach (Old Testament) and the New Testament say. (See here for further discussion). In the second part on Hans Herzl, I write about his involvement with Christianity. When Freud was in his eighties and a Moses look-a-like, he wrote his last book, “Moses and Monotheism” (1939). Freud maintained that Moses was an Egyptian. Freud got the Egyptian name right, Moses, but much else in the book is plucked from the reeds of his mind, as so many novels on the theme of Moses. For Freud, the original biblical story was dressed up in myth, and his job, as a psychoanalyst, was to peel away the myth to uncover the prosaic reality, for it is the wont of man – Freud would agree – to spike his trauma with the prozac of make-believe. Where can the Jew find salvation; in Zionism or assimilation? Which was myth and which reality? Earlier, I described Herzl’s dream in which the King-Messiah appeared to him and carried him off on the wings of haven. Herzl’s “heaven” is the Jewish State, which, his son, Hans, in contrast to his father, thought, to be a wild wounded bird that must sooner or later come crashing to the ground. “I’ve been brought down to earth with a duty to search, and to grapple with rough rugged reality (“Je suis rendu au sol, avec un devoir à chercher, et la réalité rugueuse à étreindre !” Arthur Rimbaud’s poem Adieu). In the next part on Hans Herzl, I will write about his involvement with Christianity. “Then I said, I will not make mention of Him, nor speak any more in His name. But His word was in mine heart as a burning fire shut up in my bones, and I was weary with forbearing, and I could not stay” Jeremiah 20:9). Hear, O earth; behold, I am bringing disaster upon this people, the fruit of their devices, because they have not paid attention to my words; and as for my law, they have rejected it. Achad Ha’am said of Herzl that he knew much about the Newland Neuland but nothing about the Oldland Altland. Achad Ha’am is alluding to Herzl’s novel Altneuland “Oldnewland,” which describes the future Zionist development of the Jewish State Judenstaat. Abraham Coralnik compares Herzl with Friedrich Nietzsche. So, according to Coralnik, both Nietzsche and Herzl regarded the present as an obstacle that ought to be overcome. The human condition is heavily burdened with this conflict between “is” and “ought.” The more one strives for what one thinks life ought to be, the sharper and heavier “what is” becomes. So, it would not be correct to say that (Theodore) Herzl – or Nietszche – gave no thought to the way things were. On the contrary, I suggest that they thought much about the way things were, but didn’t like things the way they were. Theodor Herzl took a deep interest in what went on around him; after all, he was a newspaper reporter – a very busy, and very good, one. Perhaps what Coralnik means by “gave no thought to things as they were” is that Herzl and Nietzsche “gave little value to things as they were” because they didn’t satisfy. Now where have I heard that before? Oh yes, in Ecclesiastes, whose Hebrew title is Koheleth “the collecter (of sentences),” “the preacher.” Herzl and Nietzsche hated preachers. I do think, though, that both Herzl and Nietzsche would’ve made of Koheleth an honorary exception. Vanity of vanities, says the Preacher, vanity of vanities! All is vanity. What does man gain by all the toil at which he toils under the sun? Herzl and Nietzsche hated preachers. I do think, though, that both Herzl and Nietzsche would’ve made of Koheleth an honorary exception. One of the topics on my site is “Theodor Herzl and his tragic family.” In “Herzl, King of the Jews,” I described Theodor dreaming about fitting out his son, Hans, his lowly tormented son, in the grubby regalia of a medieval ghetto Jew and crowning him, Duke, Doge, Doxe, Prince, King, of the Most Serene Judenstaat. What would be the normal understanding of an “outstanding” doctor, an “outstanding” speaker, an “outstanding” actor, and so on? The obvious answer is that the doctor, speaker, actor, and so on, excel at what they do. We would, therefore, assume that an “outstanding Jewish believer in Yeshua” would definitely not mean a Jewish believer in Yeshua who abandons his belief in Yeshua. But, not only did Hans abandon his belief in Yeshua, he, unlike all of the other 52 “outstanding” believers in Yeshua mentioned on the list, committed the ultimate act of despair, by taking his own life. Hans should, arguably, not appear on the list of 52, because the term “outstanding” applied to him is a misnomer. The more appropriate description for Hans is not “outstanding” but “standing out.” He not only stands out from most Jewish believers in Yeshua worldwide, but he also stands out from the 52 “outstanding” ones on the list. We previouslly read (above) that when Hans converted to Christianity…he was read out of Jewry.” Most of Jewry will not bat an eyelid at a Hare Krishna Jew or an atheist Jew. On thing it will not tolerate is a baptised Jew – having done so willingly, of course. What would be the normal understanding of an “outstanding” doctor, an “outstanding” speaker, an “outstanding” actor, and so on? The obvious answer is that the doctor, speaker, actor, and so on, excel at what they do. We would, therefore, assume that an “outstanding Jewish believer in Yeshua” would definitely not mean a Jewish believer in Yeshua who abandons his belief in Yeshua. But, not only did Hans abandon his belief in Yeshua, he, unlike all of the other 52 “outstanding” believers in Yeshua mentioned on the list, also committed the ultimate act of despair, by taking his own life. Hans should, arguably, not appear on the list of 52, because the term “outstanding” applied to him is a misnomer. The more appropriate description for Hans is not “outstanding” but “standing out.” He not only stands out from most Jewish believers in Yeshua worldwide, but he also stands out from the 52 “outstanding” ones on the list. Yulish might have been totally unaware that Hans stood out like a wounded anima among the other 51 “outstanding” believers in Yeshua. I would, however, be Fulish to put my head on a block over the matter. Theodor and Julie, his wife, had a very unhappy marriage. Julie suffered from mental illness and drug addiction She died in 1907 at the aged of 39, three years after her husband’s death. Hans her son was 16, her daughters, Pauline and Trude, were 17 and 14. Julie was cremated. After the cremation, Hans took the urn containing her ashes, and caught the train home. He was so upset after the funeral that he forgot the urn on the train. He spent a few months in a sanatorium to recover from the loss of his mother. Trude, Herzl’s youngest daughter, also suffered from mental illness, much of it the result of a long frustrating courtship with Richard Neumann, 27 years her senior, whom she eventually married. They had a son, Stephen, and separated a few months later. Like her mother and her sister Pauline, Trude was also in and out of sanatoria. Six years later, Richard, her husband, took her to Paris. This fulfilment of her lifelong dream did not improve their relationship. They went back to Vienna. In the late 1930s, she was back in a mental institution. She wrote letters to the Pope, Churchill and Hitler admonishing them to do something about the approaching war. When the Nazis occupied Austria, they ordered that all Jewish hospital patients be transferred to Jewish hospitals. A year later, the Nazis closed these Jewish hospitals, and Trude was transferred to Steinhof, a public hospital. In 1942, she was put on a train to Theresenstadt, a Nazi concentration camp, where she died at the age of 50. The cause of death is not certain – disease, execution or gas chamber. According to reliable accounts she was one among a pile of corpses consigned to the ovens. Julie’s elder daughter, Paulina, like her mother, was addicted to drugs and suffered from mental illness. She was in and out of mental institutions. She died in Bordeaux in 1930. She apparently died of a drug overdose. It is not clear whether she committed suicide. Like Paulina, my daughter Karenina was also a drug addict and died of a drug overdose. She was in her thirties and unmarried. As with Paulina, it is not clear whether she committed suicide. When a person dies from a strong addiction, there is a thin line between the conscious decision to put an end to one’s life and a sliding down the slope to self destruction. In an earlier post, I related how Herzl dreamed about making Hans, his son, Prince (doge, doxa) of the future Jewish State. When they were young, Theodor’s three children asked this question: “When father is king, will we still have to go to school?” King of what? Of Zion. His son, Hans Herzl, is to be the Prince of Zion, his daughters, the “daughters of Zion.” The House of Herzl, once great, lies wasted and abandoned. Its gates are desolate. There is bitter weeping in the night.They won’t be comforted (Lamentations 1). I will say more about Hans later on.